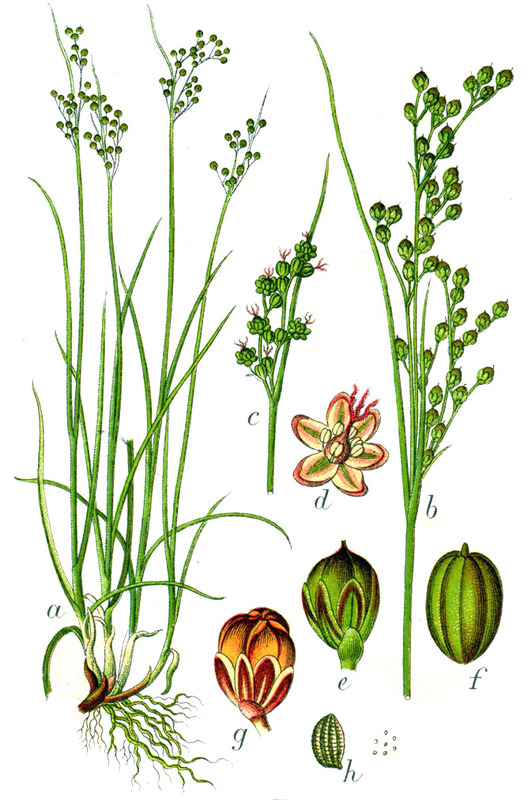 Juncus compressus is a perennial rush ; clumped, spreading from a horizontal rhizome about 40 cm long, 0.2 cm wide, stems flattened. Leaves of flowering stems 1-2, about 12 cm long, 0.1 cm wide, grooved, leaf sheaths open ca 4 cm; basal leaves about 15 cm long, 0.1 cm wide, blades flat. Flowers numerous; inflorescence, branches erect. Wetland status: National listing OBL (USDA, NRCS 2010). Frequency in NYC: Very infrequent. Origin: Eurasia. Habitat: Wet soil in open areas.